From May to October Koningsdam makes her way to Europe to cruise the cultural cities and romantic towns of the Mediterranean and Northern Europe. Koningsdam Mediterranean escapades depart from Civitavecchia (for Rome) and range between 10 day getaways to 22 day in-depth discoveries visiting ports such as Santorini, Kotor in Montenegro, and the ever popular Barcelona. For cruises visiting rugged fjords, captivating glaciers, quaint coastal towns and bustling city hubs, take a Koningsdam cruise in Northern Europe. Departing from Amsterdam, these cruises range from 7-21 nights and can take you as far as the Baltic, Iceland and Northern Norway. As the weather cools down on Europe’s shores, let Koningsdam take you on a tropical journey of discovery through paradise – the islands of the Caribbean. Departing from Fort Lauderdale, Koningsdam Caribbean escapes have a fantastic schedule of itineraries, visiting the Eastern and Southern Caribbean islands. One of the features about these Koningsdam itineraries is that there are a large number of departures of 14 nights or more in duration, meaning that you can truly immerse yourself in island life, and the Koningsdam aboard one of her Caribbean voyages. 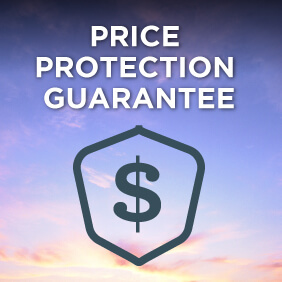 View all Koningsdam cruises, view a selection of Holland America cruise deals, or view more options for Holland America cruises. Launched in 2016, Koningsdam carries forward all of the tradition, nautical heritage, and signature service and style for which Holland America is known, while raising the bar for 21st-century elegance. The 2,650-guest Koningsdam is the first of her class, ushering in a new era of Pinnacle-class cruising. Her name’s roots, like the ship itself, are a mix of something contemporary and something classic: “Koning,” means king in Dutch and is a salute to King Willem-Alexander, the Netherland’s first king in more than 100 years. 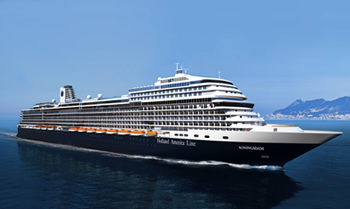 To bring this new ship to life, Holland America Line commissioned two legendary partners, change-maker Adam D. Tihany, regarded as one of the world’s pre-eminent hospitality designers and designer, and architect Bjørn Storbraaten, the force behind Nieuw Amsterdam and Eurodam. Their design cues for Koningsdam? Light-filled spaces. Fluid curves. A sophisticated interplay of high technology and elegance. With beautiful architectural elements inspired by music. All woven together in a forward-thinking design approach. Sel de Mer (“Sea Salt,” in French) is an intimate new seafood brasserie offering a contemporary twist on timeless French classics – from seafood chowder and fruits de mer to salt-crusted whole fish, scallops and bouillabaisse. Inspired by blue and white Delftware (and our Dutch heritage), the Grand Dutch Cafe is the place to enjoy a fine pale lager or favorite coffee beverage with a traditional Dutch snack. Enjoy this classic European dessert on Koningsdam, made fresh on board in a variety of delicious flavors and styles. The Lido, transformed into a modern marketplace with different themed stations, offers a curated selection of delicious options guests can grab on the go or have quickly made to order – from traditional comfort food to great tastes from around the globe. This intimate, award-winning guest favorite features choice Pacific Northwest cuts of beef and other traditional steakhouse favorites, beautifully complemented by boutique wines from the Pacific Northwest. Tamarind delights with exotic menus evoking the culinary traditions of Southeast Asia, China and Japan. Menus created by Master Chef Rudi Sodamin feature dishes honoring the elements of water, wood, fire and earth. Praised by Condé Nast Traveler for cuisine “that rivals the top restaurants on land”. Canaletto’s menu, offering a variety of authentic Italian dishes to enjoy with family and friends, is designed around the Italian concept of spartire, meaning “to share”. The perfect poolside spot for a grilled burger, gourmet hot dog or savory fries. If you want to rock out to chart-topping songs from the ’50s to the present, Holland America’s Billboard Onboard is the place to be. Here, two pianists bang out the hits late into the night, every night. Expect lots of sing-alongs, requests and a guaranteed fun time in this venue, which makes up part of the Music Walk onboard Eurodam. In an exclusive partnership with the world’s leading center for the performing arts, we proudly present Lincoln Center Stage, showcasing outstanding musicians performing multiple programs of chamber music each evening, as well as afternoon recitals during leisurely days at sea. On Koningsdam, step out on the Lido Deck to enjoy a movie on the giant LED screen. With its impressive collection of more than 130 labels, Notes, a dedicated whiskey bar on Koningsdam, is an aficionado’s paradise. America’s Test KitchenHolland America Line is teaming up with America’s Test Kitchen to offer an enticing selection of live onboard cooking shows and hands-on workshops where guests will learn foolproof techniques and user-friendly recipes to make delectable dishes with confidence. BBC Earth ExperiencesEnjoy exclusive BBC Earth Natural History content on board. Learn about the ocean and natural world through amazing concerts, films, shows, children’s activities and featured cruises. BLEND by Chateau Ste. MichelleWine connoisseurs and novices alike can experience the art of winemaking at BLEND by Chateau Ste. Michelle. Create your own unique blend in this intimate and welcoming venue. Club HAL®Kids ages 3 to 17 can enjoy an array of exciting activities, supervised by full-time staff with professional degrees. Greenhouse Spa & SalonOur tranquil contemporary spa is a haven of luxurious beauty salon and spa treatments, featuring thermal pools, heated ceramic lounges and treatment rooms facing the sea. Digital WorkshopLearn how to edit, display and share your vacation videos and photographs through our Digital Workshop powered by Windows®. Fitness CenterOur spacious, professionally-staffed Fitness Center is equipped with the latest cardio and weight machines and features fitness classes in yoga, Pilates and more. Two refreshing outdoor pools also await, along with a jogging track and sport courts on deck 11. The Signature ShopsEnjoy a wide variety of duty-free shopping in the Signature Shops. The LoftFor teens ages 13 – 17, they will have their own places to hang out in The Loft for late-night sporting competitions, yoga and dance classes, cooking demos and teens-only nightclub events.